I didn’t have much joy with my munchkin pumpkins. Actually… scratch that. I didn’t have *any* joy with my munchkin pumpkins this year. I had visions of the tiny pumpkins merrily hanging from my arch amidst the fronds of Spanish flag flowers… but after a slow start and an (apparently) cooler summer, the fruits just withered and went soft. Luckily all was not lost in the pumpkin department. 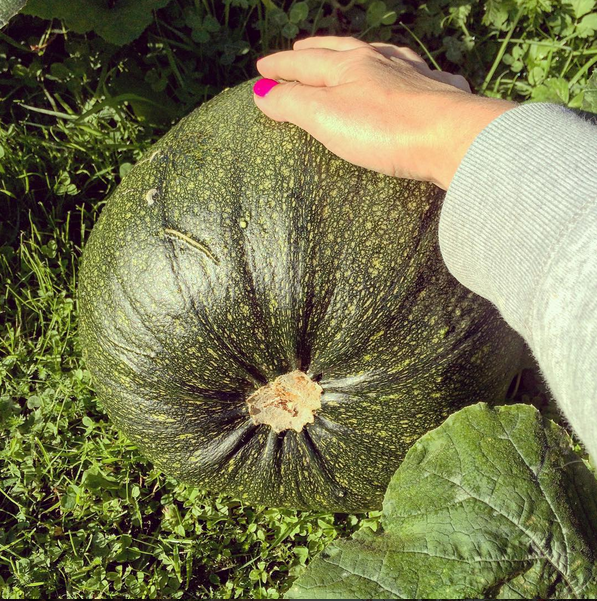 Bertha the knucklehead pumpkin was romping away of her own accord. I’m not sure why I decided to give my pumpkin a name, and a gender. It just happens like that sometimes. 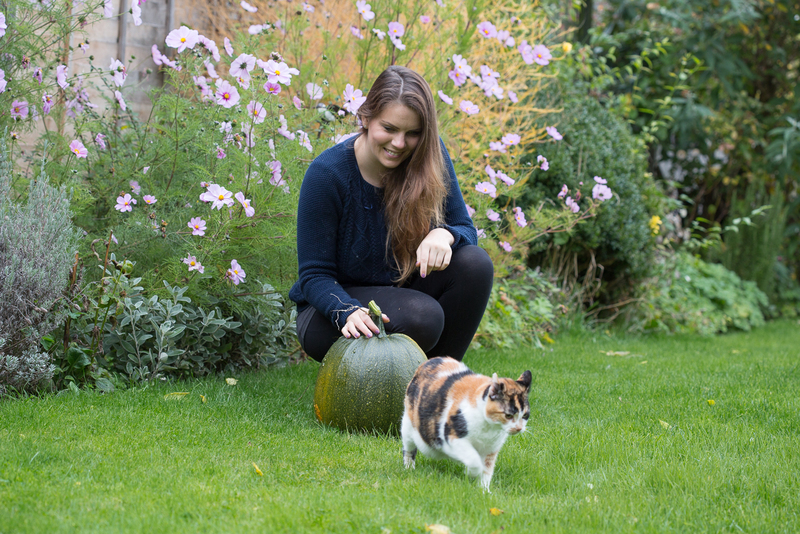 She grew well despite minimal attention from me – I unceremoniously shoved the pumpkin plant on an old compost site around June (I think) by the blackthorn hedging, and watered sporadically. The vine scrambled and grew and grew, flowered when it was about 6 metres long, and grew more to about 10 metres, and Bertha was born. 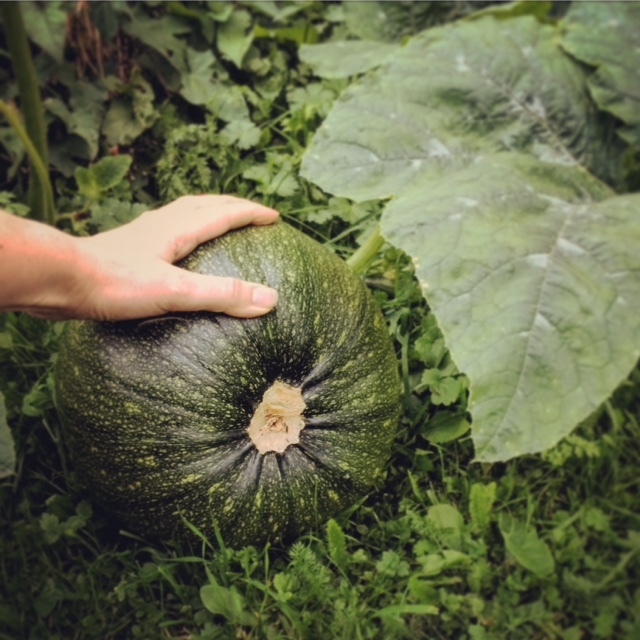 I harvested Bertha at the weekend because my fingernail could no longer puncture the skin of the pumpkin, and the stem from which she was growing was rock hard. These are two great indications that pumpkins are ready to harvest, so I took a sharp knife and cut the cord, giving her plenty of stem to encourage a healthy cure process (where the skin hardens, goes orange and makes the pumpkins perfect for storing). I was pretty pleased with Bertha. 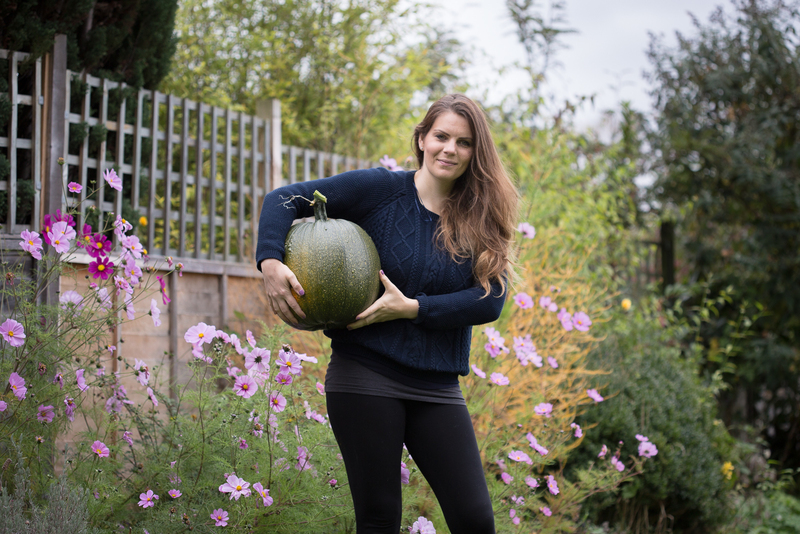 She’s not large by any stretch of the imagination, but I grew her from seed (thanks Marshalls Seeds) and she’s the biggest pumpkin I’ve grown in eight years of my journey to the good life. My previous record was an 8lb butternut squash. Bertha will be left to cure for now, and I’ve got visions of pumpkin pie and pumpkin soup next month. At the weekend I went to the Bromham Apple Day festival in Bedfordshire and bought a small pumpkin loaf, which was incredibly tasty! So now pumpkin bread is also on the menu too. 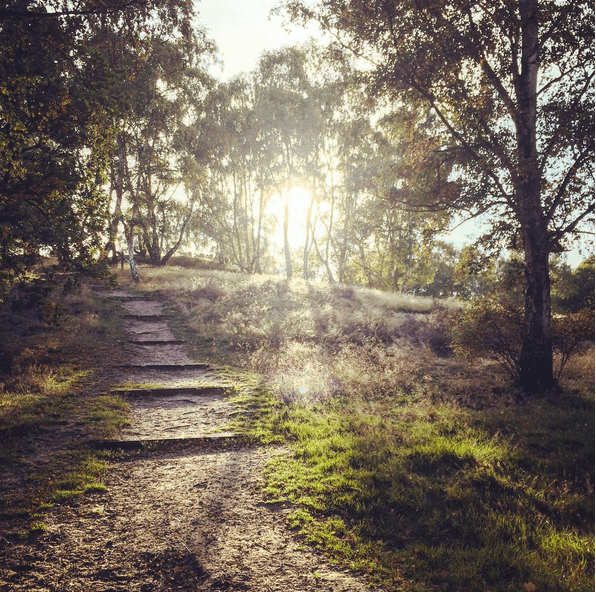 Crisp sunny but damp mornings, chunky knits, burnished and crimson leaves fluttering down from the trees. An abundance of apples, sloes, raspberries, potatoes and crunchy salad leaves. That’s what’s going down at The Smallest Smallholding this week. Autumn is also the season of root vegetables, which is partly why I love this time in the growing season. As I mentioned in my last post, I love soups. I really do. 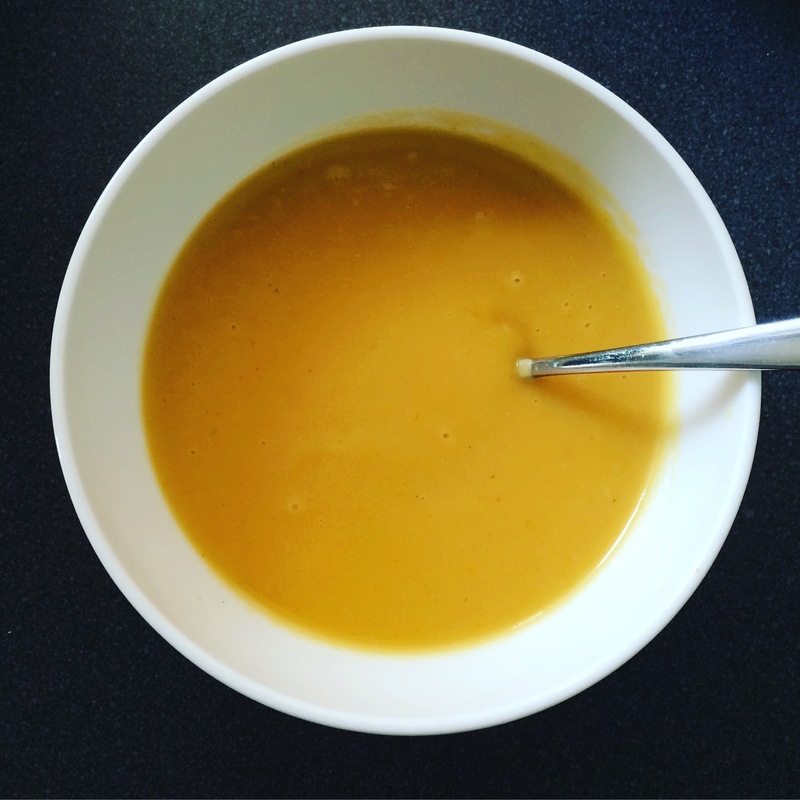 I could eat soup for lunch and dinner at least five days a week (alternating with my three other favourite food groups – curry, chilli and beanburgers). 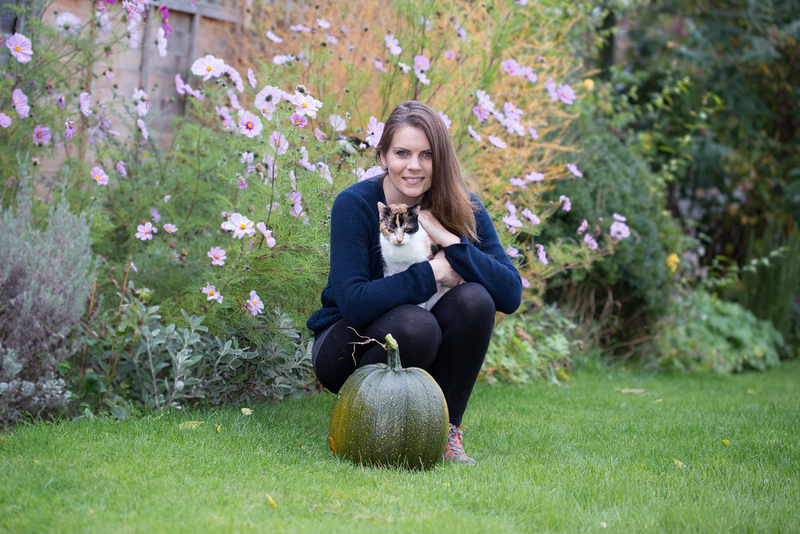 I’ve already previously written about my leek and potato soup recipe, my garden soup recipe (courgette and pea) and my spicy autumn sup recipe. Here’s a new one for you that’s sure to warm the cockles on a chilly Autumn day – spicy parsnip soup. I’ve never really been a fan of creamy soups, and as a vegan it’s a little bit of a hassle finding a suitable creamy alternative (though absolutely do-able). I’ve always eschewed the likes of cream in soup for creamy veggie alternatives – I find it’s easy easy as just picking the right variety of creamy, floury potato. 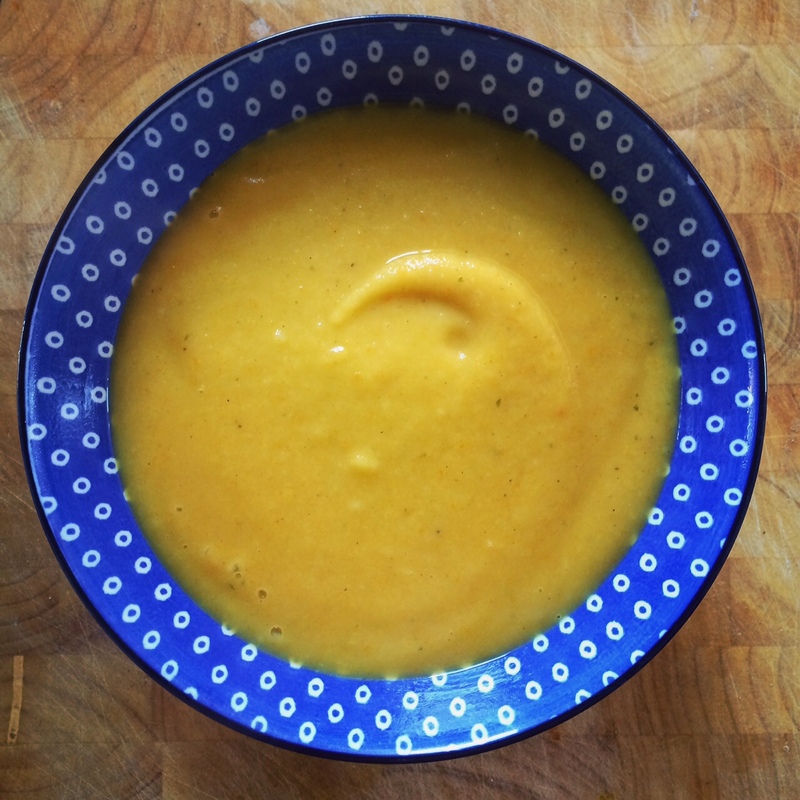 So here’s my creamless but smooth, spicy and, above all, hearty spicy parsnip soup recipe. Prep: About 10 minutes, less if you’re a fast chopper! 2. Add boiling water, making sure to cover the veg by about 3/4 inch, followed by the veg stock powder. Add in a level dessert spoon or so of cumin and garam masala (mixed), and add a dash of cayenne pepper if you like an extra spicy kick. Add more spice to taste if you’re like me and love a heavily seasoned soup. 3. Bring to a rolling boil and then simmer until the veggies are soft and the potatoes are breaking apart easily. 4. Take off the heat, leave to cool for a few minutes and then whizz up with a hand blender. Add more boiling water from the kettle if you need to thin off the soup. I like mine hearty and thick.